For this recipe, you truly don’t have to do anything. Not kidding ! 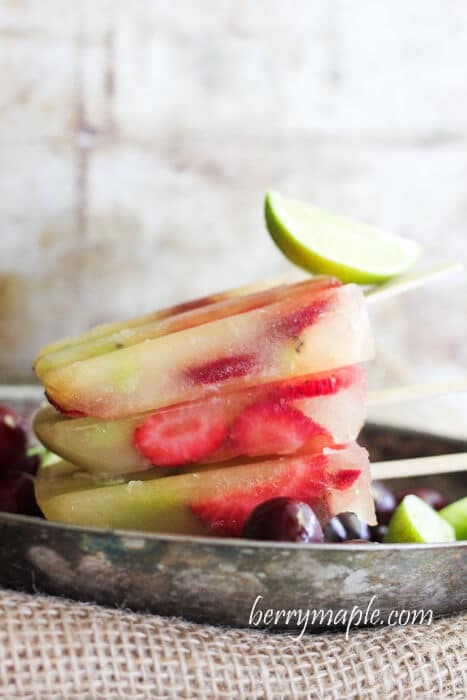 Apple juice fruit popsicles require just any kind of juice and fruits! You sure can make it more fancy by using fresh squeezed juice( especially when everything in season), but I chose an easy way today, and my kids really loved it! I used apple juice. It freezes very well and it is very sweet. Then for a touch of color I used cut up kiwis and strawberries ( feel free to use any kids of fruit or berries) . The only problem with this pops, is that they melt really quickly. Eat them fast! The only mold i use for my popsicles is Fox Run 50302 Frozen Ice Pop Maker , it even comes with wooden sticks. 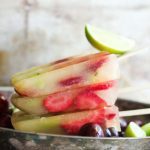 Easy and kid friendly frozen treat ! Thinly cut all your fruit and berries. 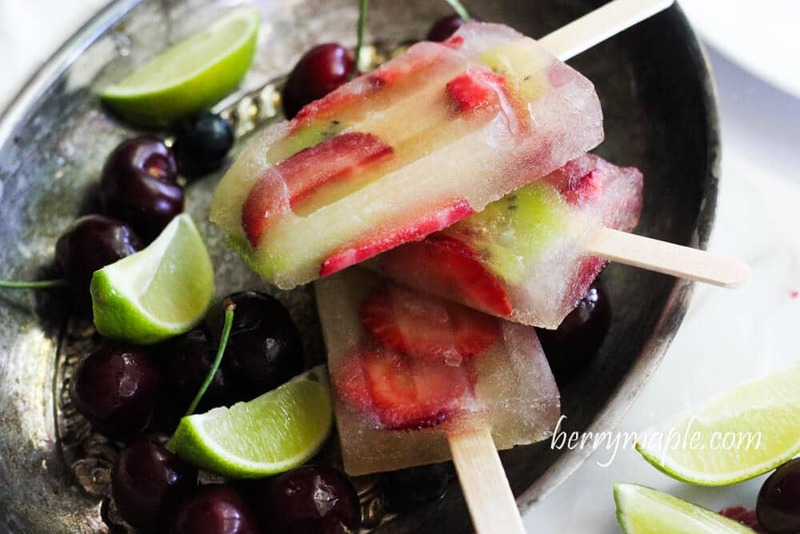 Place them in your popsicle molds, pushing to the sides. Fill the molds with juice, leaving a little space on top. The amount of juice used really depends on how did you locate all your fruits inside the molds.